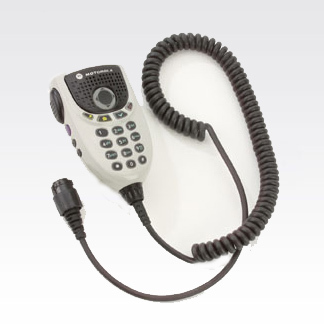 Provides push-to-talk functionality and allows users to access other critical features directly from the microphone. A full keypad allows users to dial phone numbers and send text messages, while the navigational buttons allow users to navigate through radio menus.Also includes 3 programmable buttons for additional customization. Attaches via the front connector of the mobile control head.